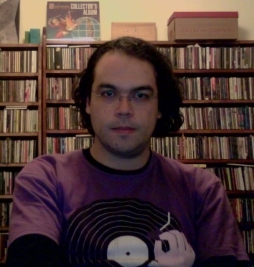 OK, well if you're checking this out before the show to find out what's coming up, tonight there's a big interview with Mike Paradinas, aka µ-Ziq and the man behind the phenomenal Planet µ label. Tune in to hear a whole lot of his music as well as music from the label, and some classic influential jungle tracks as well. Apart from that, we have the wonderful new Saddleback album, post-rock-like beauty from local chap Tony Dupé, plus the new Misplaced Pets comp on Hood-related Misplaced Music, another new Hood track, and something very limited on Morr Music! G'day. Lots of new stuff this week, plus an interview with Greg Davis, who'll be here in a couple of weeks for Sound Summit! Starting with some post-rock sounds, drones and strings and loveliness... By the end of the evening it'll have morphed through Autechre and Mouse on Mars among others, to breakcore legend Shitmat's new gear on Planet µ and lots more. Well it's all over bar the fat lady singing! Nevertheless, 15 people called tonight to sign up as new FBi supporters, just in time! Had a great chat to Michael Upton aka Jet Jaguar, and half of Montano, who wa up from Melbourne for the weekend. Starting off with a very interesting cover of Nine Inch Nails by a local acoustic lass!